Some records are broken for glory, while others, like HPC, have more practical results. 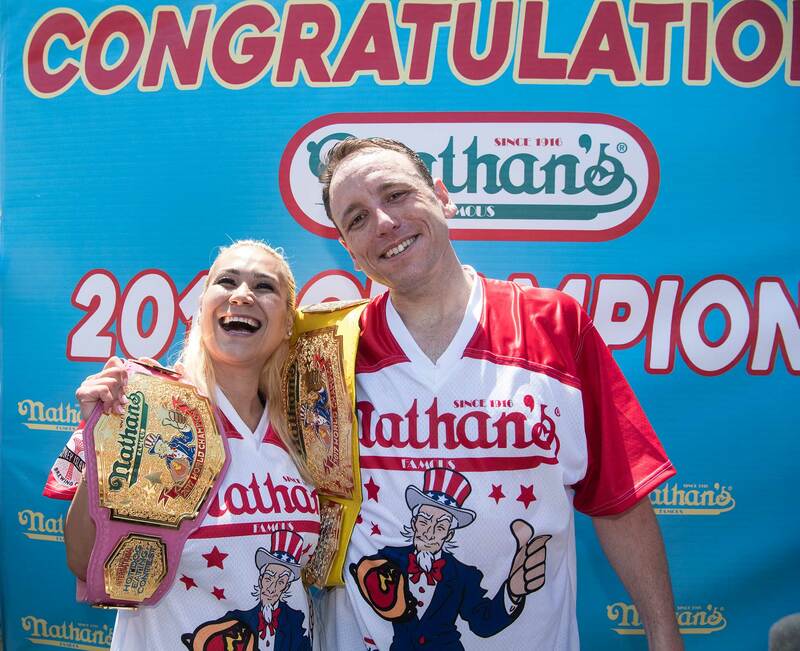 Compare 2017 Nathan’s Famous International Hot Dog Eating Contest champion Joey Chestnut’s record-breaking feat of eating 72 hot dogs (with buns) in 10 minutes during the annual July 4 contest to ANSYS, Saudi Aramco and King Abdullah University of Science and Technology (KAUST) shattering the supercomputing record by more than 5x. Chestnut was awarded the “Mustard Belt” for the 10th time, $10,000 and an additional 20,000+ calories for his impressive performance. By leveraging high performance computing, Saudi Aramco and KAUST worked with ANSYS to speed up a complex simulation of a separation vessel from several weeks to an overnight run! In oil and gas production, the well stream flows through very large, cylindrical separation vessels where, mainly under gravity, it is separated into its constituents. The presence of gas in the production stream from the wellhead generates a three-phase flow, which then needs to be separated into a gas phase for recovery, an oil phase for dehydration and transport, and a water phase for treatment. In some cases, oil and gas platforms produce at only 50% of design capacity due to poor separation, so simulation is critical to improving their efficiency. Saudi Aramco Research & Development Center uses ANSYS Fluent modeling and simulation to select the best option among commercially available separator internals, as well as to design their own proprietary internals. Fluent is also used to predict the performance of the separator vessels under varying operation conditions. Computational fluid dynamics (CFD) has been used to troubleshoot separation equipment, mainly by analyzing liquids and gasses separately. Extended use of multiphase simulation is now possible thanks to enhancements to computing power, as well as the high-performance computing (HPC) scalability and performance improvements we’ve made to ANSYS Fluent. The multiphase method allows for detailed analysis of interphase interactions, providing more realistic results than individual CFD analyses. However, the Euler-Euler multiphase models used in the simulation are complex and require multiple global synchronizations, making them harder to efficiently scale at high core counts than single phase laminar or turbulent flow simulation models. Unstructured mesh and complex geometry add further to the complexity. To improve the efficiency of the multiphase simulation runs, ANSYS collaborated with Saudi Aramco and the KAUST Supercomputing Core Lab (KSL), which runs Shaheen II, a Cray® XC40™ supercomputer to best our previous record of scaling ANSYS Fluent to 36,000 cores. Read the full press release on how we scaled to nearly 200,000 cores. We are committed to taking simulations to new levels of software scalability to benefit all of our customers, so the need for h2 HPC technology partnerships is crucial. Software and HPC developers need to collaborate to ensure the simulation software scales well on the latest HPC infrastructure. To do so requires a user community to provide real-world, industrially and/or scientifically relevant applications. And, because it is often impossible for industrial companies like Saudi Aramco to divert their production HPC systems to test this level of extreme scalability, they need an HPC center like KSL to provide access to large HPC resources and HPC system expertise. Because separators are used throughout the oil and gas industry to split production fluids into components of oil, gas and water (as well as contaminants), the new ANSYS HPC scalability milestone will benefit the entire industry. However, it will also have far-reaching effects beyond the oil and gas industry, and even beyond other supercomputing users. While your local workstation or cluster probably doesn’t approach the 6,174 nodes representing 197,568 processor cores in KSL’s Shaheen II supercomputer, the software development work we do to improve ANSYS HPC scalability still matters to your day-to-day work. The improvements we make based on our scalability efforts allow you to decrease your time to solution either by running more models or higher fidelity models on your current hardware, or by taking advantage of more compute power on new hardware. Either way, you can solve simulations faster and explore more — and more advanced — solutions in less time. Ultimately you can innovate better and faster with HPC-enabled simulations. That’s why we continue to invest in record-breaking HPC scalability as part of our ANSYS software development. It might not get you a mustard-colored belt, but saving product development time and enabling more complex simulation runs are a lot easier on your stomach. To learn more, read ANSYS High Performance Computing.